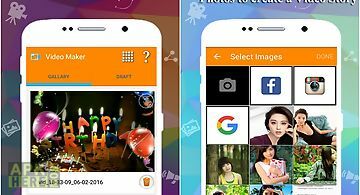 Birthday slideshow video maker app for android description: Want to convert your birthday photos into video? This video maker will help you create amazing birthday themes videos using your birthday photos. This app is specifically made to create birthday theme video using your photos. 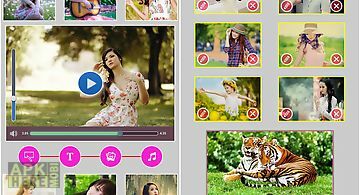 It converts photos into slideshow video with many customization effects like birthday frames blend mini animated videos birthday songs and music text editor and much more. Just create amazing happy birthday videos of your friends colleagues family members and wish them happy birthday in style. You can easily share these videos on social media apps directly from the app. You can edit every images photos to be used in video. 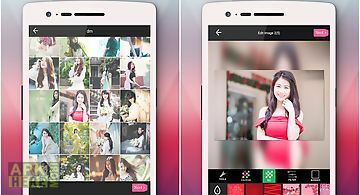 App 39 s editor tools will help you make following editing : photo with blur background or using solid color background or add textured background. Adjust the blur level of blur background. Adjust position size and placement of photo on foreground. Use text editor to add text to photo with different fonts color and size. Add birthday stickers add birthday stickers individually to any selected photos. Create video with edited photos. 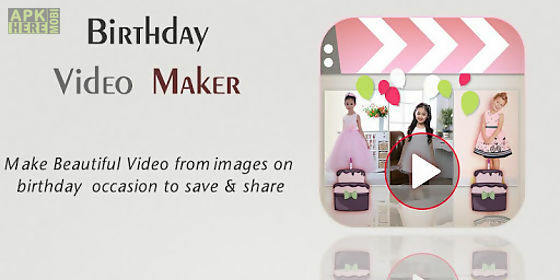 You can customize your video in following ways : download different birthday frames and apply to your video. Download different video effects and blend it to your video. Download birthday songs and add it to video. 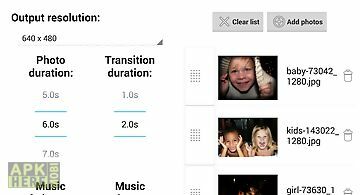 Adjust time intervel of photo slide from 1 second to 5 second per photo. Create free and beautiful video and wish happy birthday to your friends and family. create amazing new year story video and send it to your friends and family. Happy chinese lunar new year of the monkey! Video happy chinese new yearvideo ..
Video movie slideshow makercreate video stories from images and music with video slideshow maker. Incredibly easy to use yet highly powerful and has many o.. 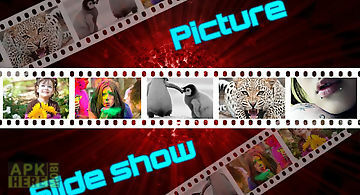 In this photo slide show maker you can watch your favorite pictures drop one by one with stunning animation. With this slide show creator you can also prom.. 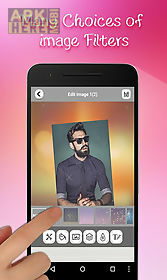 Select photos and instantly get an awesome video slideshow. Incredibly easy to use yet highly powerful and has many options to customize and make it person.. 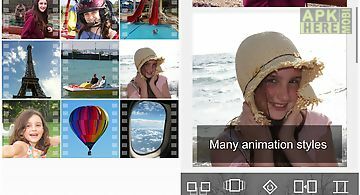 Creating slideshow video with your beautiful images of your family and friend is now easy for anyone. 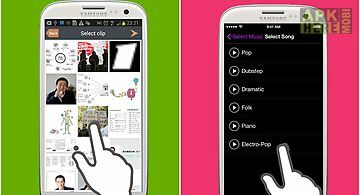 Slideshow maker with music is a movie maker applicati..
Photostory is the best music slideshow maker for android it is so easy use that anyone can create beautiful video from photos in one minute best of all it .. Mix your photo music together. 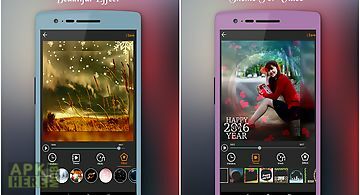 Picflow is the best slideshow maker for android users. 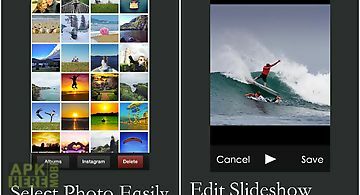 You can add 100 photos add music adjust duration of photos instant pr..
Now you can make your own amazing video slide show with only a few taps! 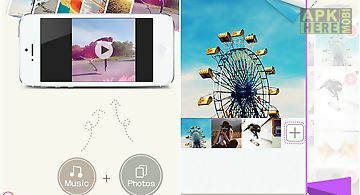 Slide maker mixes your photos music to be a short fantastic video slide show. You .. 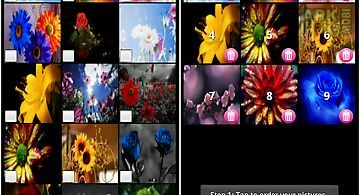 This is a very simple tool to create your own custom photo slideshow live wallpaper. Choose your favourite photos and images from your gallery. You may set.. 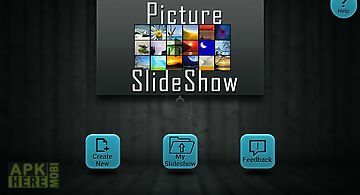 Create slideshow videos for free from your photos and add favorite music and share them with your friends and family. Share fond memories making videos wit..